If you're the account owner, you can cancel your account at any time. However, we do not offer full or partial refunds on any monthly or annual invoices that have already been paid. On the Account Settings page, click the Cancel & Delete My Account button. Lastly, a confirmation will pop up. Even though we're sad to see you go, we'd love to know why you're canceling to helps us improve our service. 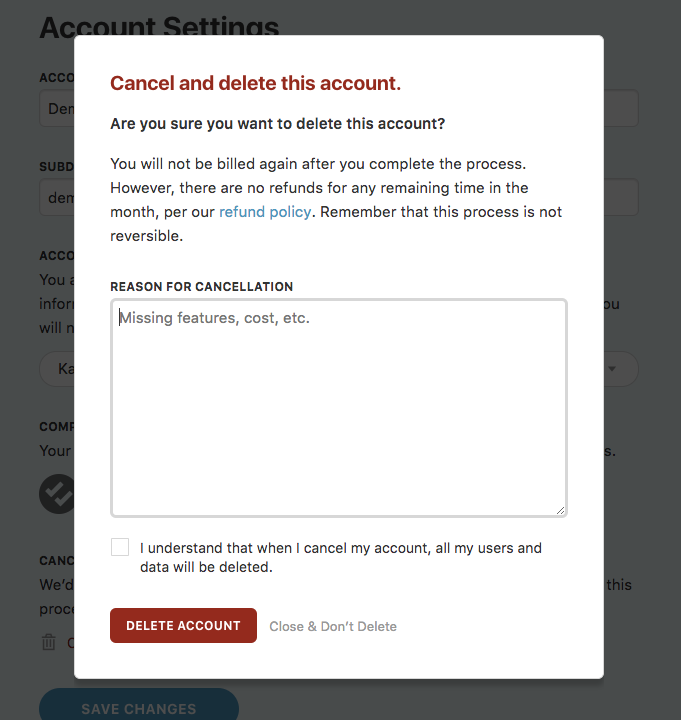 Tick the checkbox to confirm account cancellation and press Delete Account.